CEDAR CITY – The search for a father and his two children whose plane went missing in a reportedly rugged part of Southern Utah has been scaled back Sunday evening, authorities said. The plane traveling from Phoenix Saturday never reached Salt Lake City International Airport, approximately 300 miles north of Iron County. The family of the occupants of the plane – Randy Wells and his two children, 8-year-old Asher and 3-year-old Sarah – said the private plane was expected in at around 10 p.m. Saturday. According to a Facebook post, the last time the family heard from Wells, who was piloting the plane, was at 8 p.m. At that time, he was near Bryce Canyon. Wells was reported to have stopped in Page, Arizona, to fuel up at around 8:30 p.m. About 2 1/2 hours later, at 11:06 p.m. authorities said a ping was sent from his phone. Rescuers have a huge area to cover in the search for the missing plane. Authorities estimate the actual search grid to be approximately 400 square miles. The plane was picked up on radar near the Iron and Garfield County line. 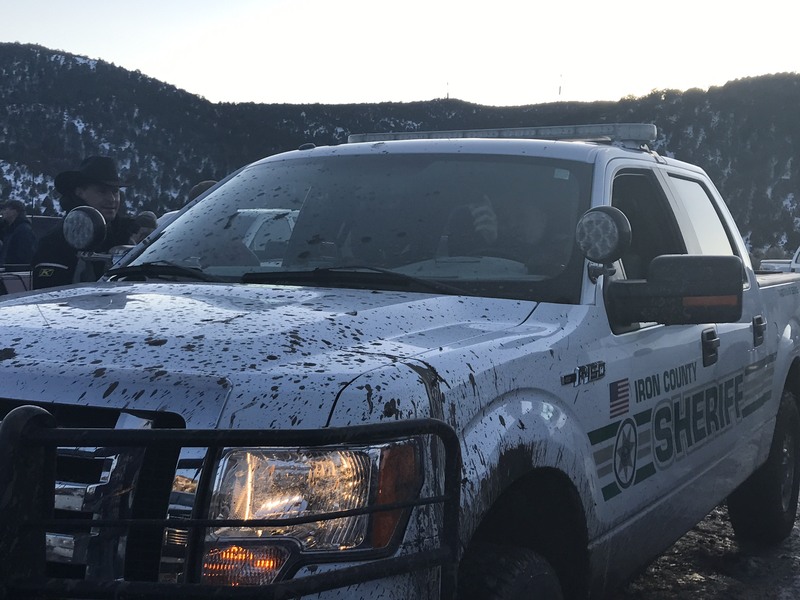 That area was scoured by search and rescue crews from Iron, Beaver, Piute, Sevier and Garfield Counties throughout the day Sunday. Authorities were stationed off state Route 20 at milepost 16 for most of that time. “The last time radar picked the plane up it was around this area so that’s where we’re searching at this time but we aren’t sure of their exact location,” Iron County Sheriff Mark Gower said. Department of Public Safety and Southern Utah University Aviation School sent helicopters to assist. The Civil Air Patrol and U.S. Air Force also assisted in the air search. “We are searching on the ground, but this is largely an air search because of the rugged terrain and the snow that’s on the ground right now,” Gower said. A full-scale search is expected to resume at daylight Monday. This is a developing story Cedar City News will continue to update with additional details as they come in.